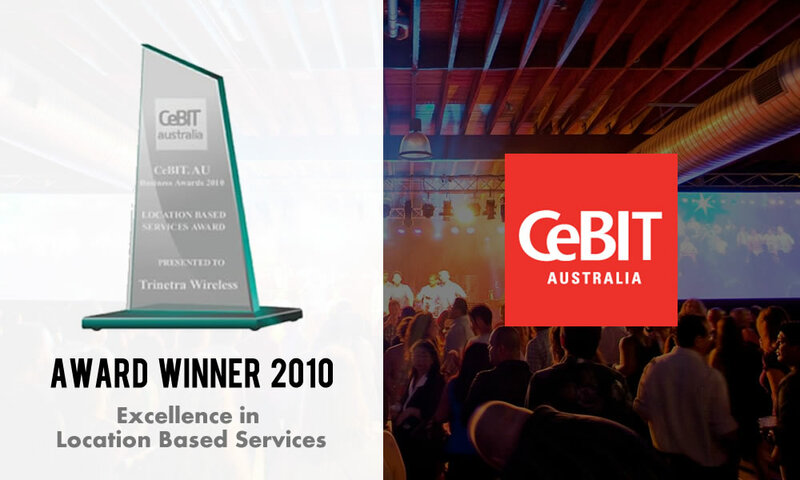 Trinetra Wireless is glad to announce that it has bagged the “Excellence in Location Based Services Award” at CeBIT, the leading IT exhibition & trade show event in Asia Pacific recently held at Darling Harbour, Sydney, NSW, Australia from May 24 – 26, 2010. We at Trinetra are continually striving for excellence and this award raises the bar across all aspects of our business and provides us with ways to benchmark against top performers in our business niche. The CeBIT.AU Award for Excellence in Location Based Services was one of eight CeBIT.AU Business Awards and it is aimed at the ever-growing market segment of Geospatial products and Location Based Services. We are extremely delighted to have won this most coveted prize. Out of 18 companies that have participated in the Location Based Services category, Trinetra was nominated as one of the top 3 companies and was finally awarded the WINNER in this category. ANGLER Technologies, the enterprise partner for Trinetra in Australia received this award. At this juncture, we express our heartful gratitude and warm regards to all participants / visitors including business partners, system integrators, resellers and software vendors across the globe who made this trade show event a great success and help us to achieve this recognition by making their presence at ‘TRINETRA’ stall in CeBIT 2010 Australia. Contact us today to empower your Vehicle Tracking and Fleet Management requirements with TRINETRA! Want to know more about TRINETRA? You can request for a product demo here.